This page provides access to a range of guides that provide information, tools and techniques for those wishing to manage the social processes required to support community and regional development. The basic principles are universal and there are a wide range of guides developed in many different contexts that can help us. However, to achieve change policy makers and others need to be aware of the characteristics of complex social systems, and what these mean for the design of constructive interventions. It is also important to clearly set out a theory of change and logic models that build interventions that link operations with the required organizational and social activities. How the science of behavior change can help with sustainability This article is a good place to start if this is a new topic to you. In this Guardian article Les Robinson shares his tips on how the science of behavior change can help to make sustainability initiatives more effective. He addresses some of the key questions such as “how to move beyond the converted?, and what to do when people just don’t appear interested. The role of key theories of change are explained. Impact = Influence + Leverage + Learning (I2L2). This 2015 discussion paper by Jane Reisman, Anne Gienapp and Tom Kelly presents and explains the I2L2 formula. It presents the elements of influence, leverage, and learning as contributors to impact. Isolating these elements shifts attention to them, recognizing them as the factors that can enable, accelerate, or amplify impact. Changing behaviour: A public policy perspective. This 2015 Australian government briefing paper deals with the challenge of how democratic governments can most effectively influence the behaviour of their citizens. The role of regulating or influencing behaviour is, of course, not a new one for governments—they have long used a range of traditional policy tools, including legislation, sanctions, regulations, taxes and subsidies, the provision of public services and information to modify behaviour in the public interest. What makes the current environment more challenging is the growing number of policy problems where influencing human behaviour is very complex and the effectiveness of traditional approaches may be limited without some additional tools and understanding of how to engage citizens in cooperative behavioural change. The paper looks through the reasons for supporting changes and the broad theories that are of relevance in a useful stepwise way. Motivating behaviour change. This short 2014 review presents approaches to behavior change and highlights evidence of their effectiveness. It refers to the development of theories about the processes that shape behaviour, to empirical studies that test these theories, and to applied research. The latter particularly relates to how behaviour can be changed in everyday situations and settings. MINDSPACE: A practical guide to influencing behaviour through public policy is another short 2014 UK Cabinet Office guide to behavior change elements that are of most practical use to policy-makers. Applying Behavioural Sciences to EU Policy-making. This 2013 report by René van Bavel and colleagues is intended as a guide for policy-makers wishing to introduce a more refined understanding of human behaviour into the policy-making process. It begins by discussing the background to the current popularity of applied behavioural science and goes on to cover specific issues that should be taken into account when incorporating behavioural insights into the design, implementation and monitoring of policies. Policy context: influencing and changing behaviors. This 2012 report by Jake Morris, Mariella Marzano, Norman Dandy and Liz O’Brien presents a review of the policy context for the current focus on influencing and changing people’s behaviour. Accompanying review reports cover theories and models of behaviour and behaviour change and describe lessons learned from behavioural interventions. A summary review report is also available, together with a discussion paper which explores how behaviour and behaviour change relate to forestry. Habits, Routines and Sustainable Lifestyles. This 2011 report by Andrew Darnton and colleagues provides a summary of findings from a literature review on the role of habit in relation to sustainable behaviours. It sets out the theory on habit from two different perspectives, identifies effective techniques for bringing about habit change, and draws out implications for policy makers and practitioners. Habitual behaviors or patterns of practice? Explaining and changing repetitive climate-relevant actions. This 2015 review by Tim Kurz and colleagues looks at “habit” as an individual psychological construct as it is perceived by social psychology, as compared with sociology which focuses less on the individuals who enact such practices and more on the practices themselves. The authors go on to review empirical work from both traditions around the relevance of ‘habit’ to climate-change-related behaviors. Finally, they consider the implications of these perspectives for understanding and modifying climate-relevant actions. Beyond the ABC: climate change policy and theories of social change. In this short and deliberately provocative paper Elizabeth Shove reflects on what seems to be a yawning gulf between the potential contribution of the social sciences and the typically restricted models and concepts of social change embedded in contemporary environmental policy in the UK, and in other countries too. As well as making a strong case for going beyond what she refers to as the dominant paradigm of ABC (attitude, behaviour, and choice), she discusses the attractions of this model, the blind spots it creates, and the forms of governance it sustains. This paper provides some insight into why so much relevant social theory remains so marginalised, and helps identify opportunities for making better use of existing intellectual resources. A good summary of the paper can be found here – Going beyond the ABC of climate change policy. Supporting Collective Action in Pest Management – Aims and Frameworks This 2009 report by Will Allen and Chrys Horn introduces concepts that articulate and frame the social directions and processes required to support collective action in many natural resource management issues. It looks at the capacities and skills required. It also offers a checklist for evaluating collaborative action as a final appendix. The Psychology of Sustainable Behavior. This 2009 handbook by Christie Manning introduces research-based tips from psychology to underpin efforts to empower sustainability in a range of settings. This document represents many years of psychological studies, and summarizes the studies and findings most relevant to sustainability and sustainable behavior change. The handbook begins with an overview of the psychology of sustainable behavior. The following section then describes how the tips from psychology fit into sustainability campaigns and explains how individual sustainability contributes to broader social and policy change. Reference Report: An overview of behaviour change models and their uses This 2008 report by Andrew Darnton has been designed to accompany the Practical Guide to Behaviour Change models (see next entry). It provides a descriptive account of over 60 social-psychological models and theories of behaviour and discusses some issues to consider when using models. It also provides additional resources in the Appendices to enable readers to access the vast amount of literature in this area and see where models have been used to address particular behaviours previously. This review makes the distinction between models of behaviour and theories of change. A short policy briefing guide on behaviour change work is also provided. Practical Guide: An overview of behaviour change models and their uses This related 2008 report by Andrew Darnton summarises the key elements of Behaviour Change theory as well as providing information on the use of models. The report links with the longer reference report (above) that details behaviour change models. The Guide begins by providing a brief overview of the range of social-psychological models, theories and principles covered in more detail in the Reference Report, followed by a discussion of the key considerations when using behavioural models to design interventions. This sets the scene for the Nine Principles on the use of models in the intervention development process. Tools of Change: Proven Methods for Promoting Health, Safety and Environmental Citizenship This Canadian website, founded on the principles of community-based social marketing, offers specific tools, case studies, and a planning guide for helping people take actions and adopt habits that promote health and/or are more environmentally-friendly. This Web site will help you include in your programs the best practices of many other programs – practices that have already been successful in changing people’s behaviour. The Change Management Toolbook This site by Holger Nauheimer provides a sizeable collection of tools, methods and strategies which you can apply during different stages of personal, team and organizational development, in training, facilitation and consulting. It is divided in three principle sections: Self, Team and Larger System. 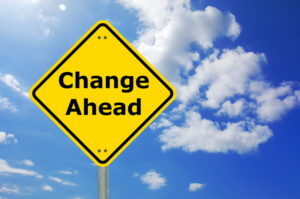 The site’s introduction to change management is a good place to start. You may have to register on the site to start using this resource. Behaviour change intervention tools This report by This report by Ashlea Bartram provides a review of empirical studies on the use of a range of tools in voluntary behaviour change interventions in order to draw conclusion about the effectiveness of these tools. These tools were classified as prompts, norm appeals, commitment, feedback or incentives. Social marketing is a closely related topic.